It was 11am when my neighbour rang the doorbell. 'Kick-off is just after 1pm and we may be able to get tickets - do you want to come?'... Why did he need to ask? Less than 15 minutes later, we were on our way to Wembley which is about 10 minutes by car. This is not how I usually do things. I'm more of a tickets-in-hand-arriving-early-to-find-parking-and-enough-time-for-a-coffee type of weirdo. 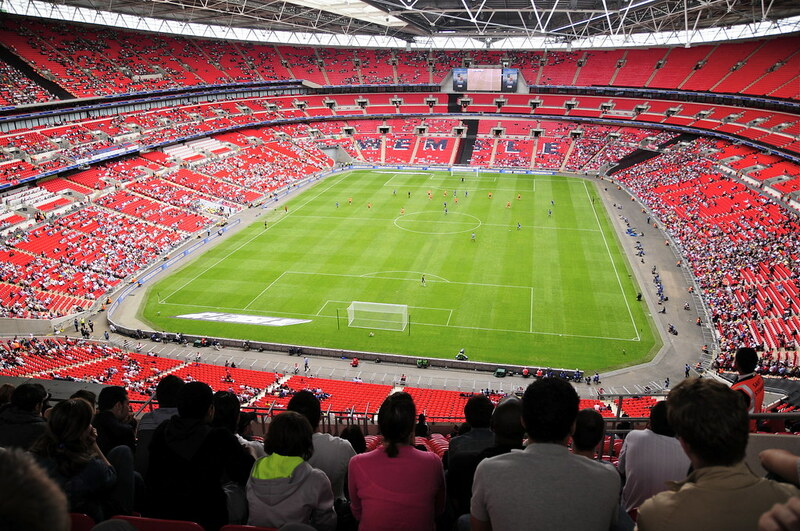 Barcelona v Ahli (of Egypt) were playing as part of the Wembley Cup. 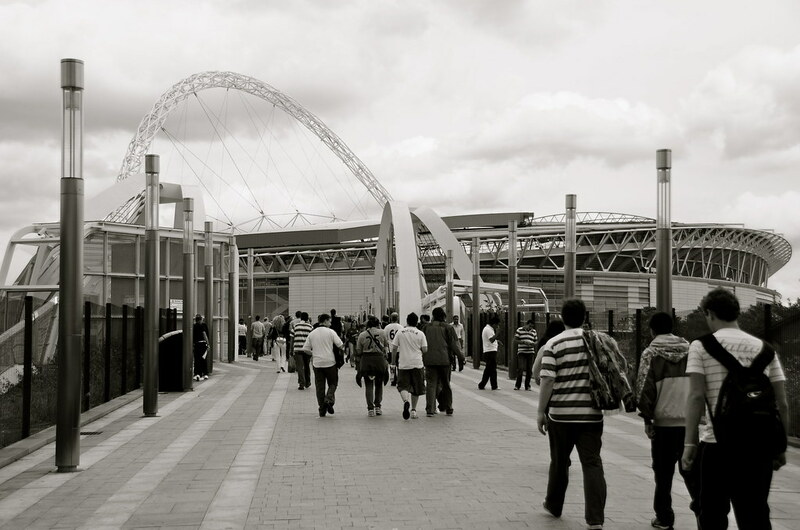 I hadn't seen Wembley since the huge renovation, and this was a nice opportunity to experience it. I say renovation, in fact it's a brand new stadium built in the same spot as the old one - and very impressive one indeed. The most wonderful thing about any match is the atmosphere. This game lacked action and atmosphere - even with the deceiving result of 4-1. 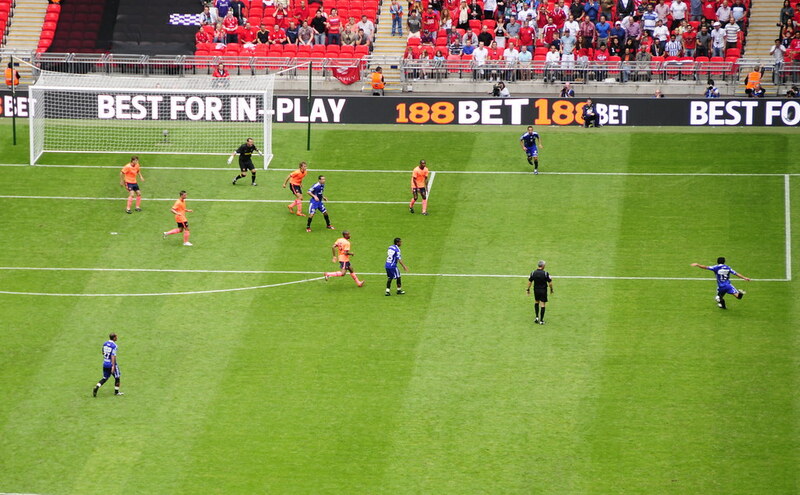 It was however great to be at Wembley watching players such as Messi from a distance. Speaking of distance, I love how steep the theatre seating is. We were right at the top and the view was still surprisingly good. The entrances, seating, facilities, signs and (most importantly) the pitch were outstanding. 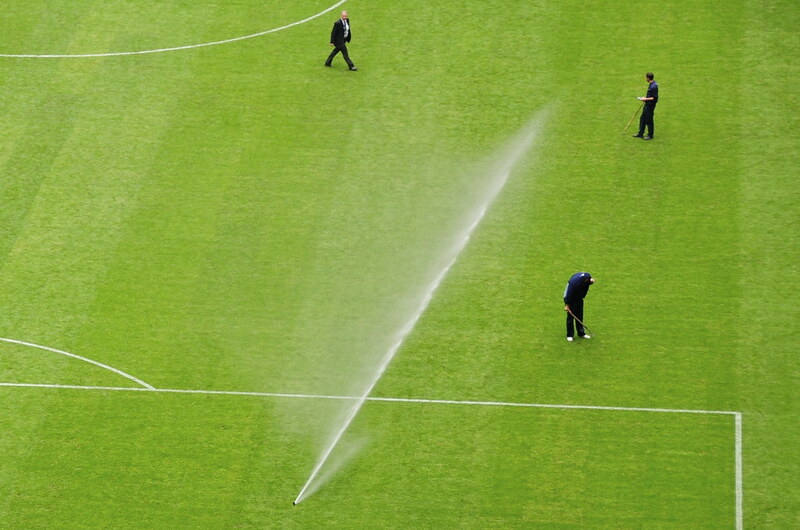 Every square inch of the pitch was checked, repaired and watered during half time. Celtic fans were arriving from the morning for their match with Spurs later in the afternoon. With these people, you can be sure of an 'atmosphere'. The number of police officers was indicative of past experiences... We saw three Tottenham fans navigating their way to the stadium. They had to walk between two pubs - filled with Celtic fans! The two pubs are at opposite sides of the road so the 'safest' thing to do was walk on the road itself. They were still showered with beer and cans. As I write this post I learn that Celtic have won the cup. Judging by the singing I heard earlier outside, I can only imagine the noise inside. Congratulations. 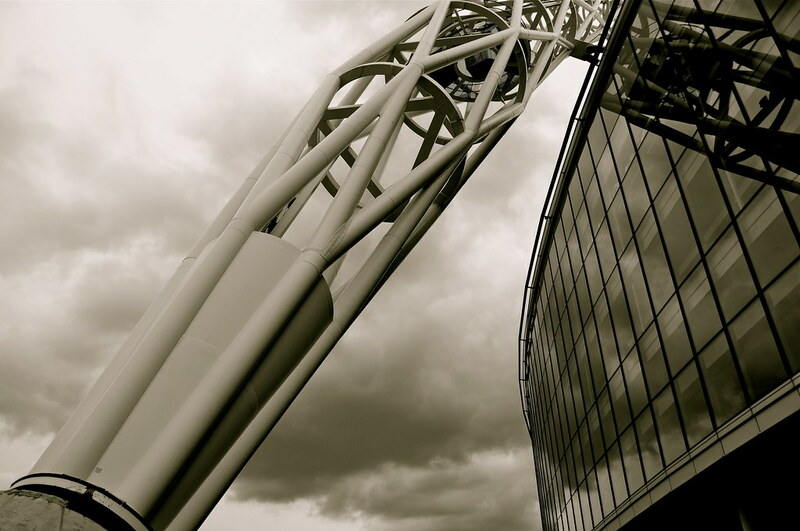 Great shots of the stadium! Football games are so much fun to watch live! Fantastic shots! I have yet to go to any football game! Haven't been to one ever, but I keep hearing that its a lot of fun! On the same day as the match above, I saw a replay of the England-Germany match in Italia 1990. They had the same teams but obviously with older people. It was nice to see Gascoine, Platt and Shilton (as well as someof the German stars). OMG! i was there! cheering for Al Ahli!! that game was a lot of fun!! who's side were u cheering for? ?